The founders of Centra Tech, a company that raised a $32 million ICO, have been indicted for wire fraud and securities fraud, charges that could lead to a minimum of five years in jail. 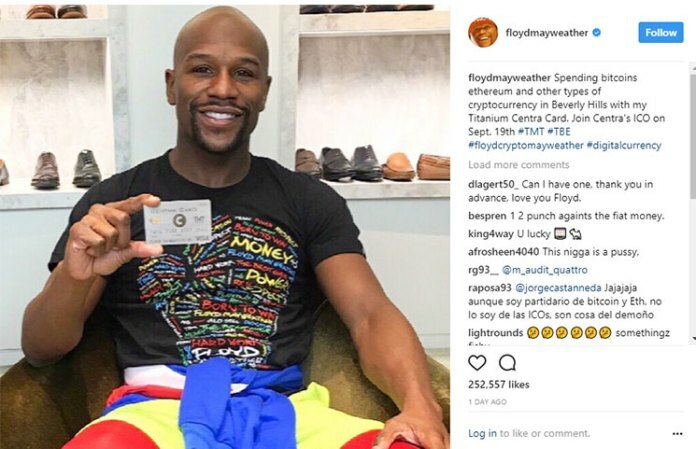 Floyd Mayweather and DJ Khaled posted support for Centra Tech on Instagram during the run-up to the token sale, writing that they were excited to use Centra Tech’s card to pay for things using Bitcoin, Ethereum, and “other coins.” Mayweather’s post appeared here but is now gone. What the three partners allegedly did was especially egregious which is why the SEC was able to attack so forcefully. Khuzami alleges that the team made up a fake CEO to look more credible as well as a laundry list of other claims.